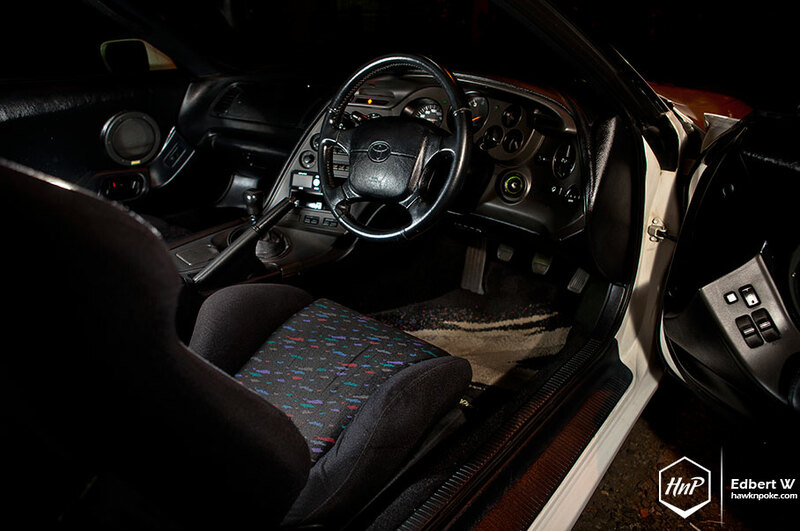 I guess for the first time-ever, we are going to introduce you to a featured car owner who’s not really into automotive modifications at all. Throughout the years, we’ve posted countless stories about automotive enthusiasts who’ve known it all too well the diverse world of aftermarket parts. Long history of previous car builds and endless number of inspiring works can often be found under the portfolio of such owners. 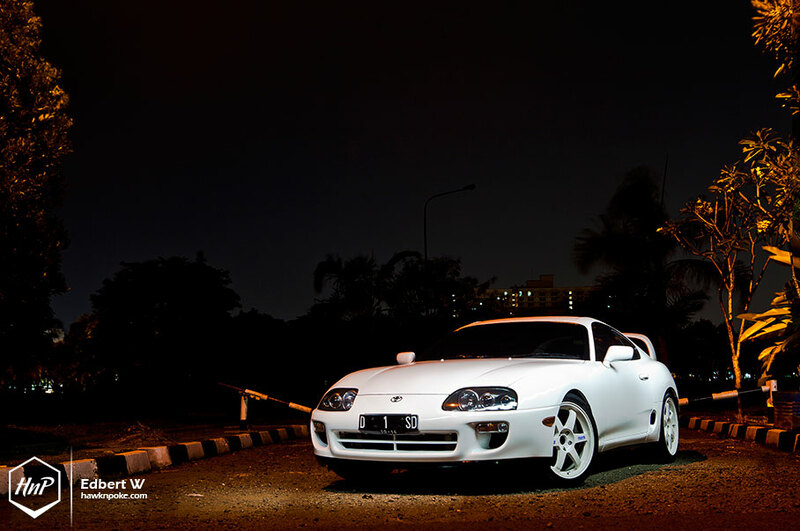 But not today’s, Haris is still not a big fan of car customisations; and yet here’s his Supra fitted with HKS T51R turbo that’s good for up to 500whp. Where did that come from? Mesmerizing. 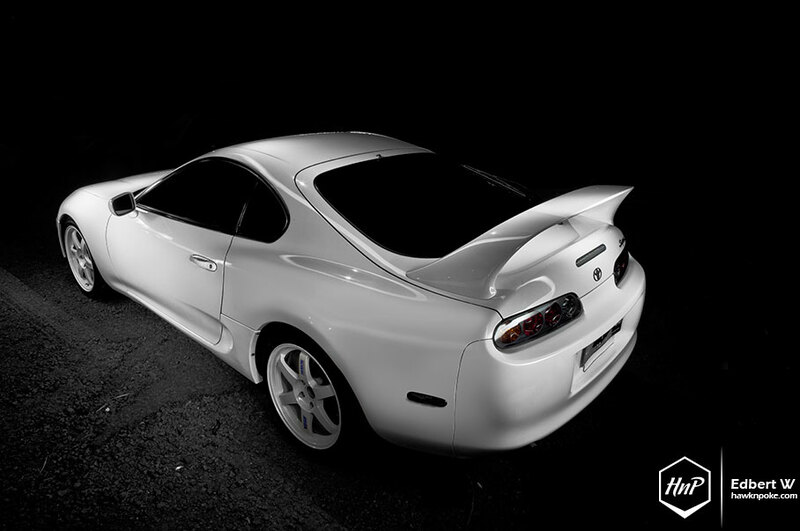 This “Limited Edition 15th Anniversary” MK4 Supra RZ is an example of Toyota’s engineering lunacy. Buyers could pick between two engines right off the mill: twin-turbo 276HP or NA 220HP. Both considered as ample powers for Japanese production cars of its time. But when these beauties are handed to the expertise of aftermarket tuners, we started seeing plenty of 1000HP+ builds being made. Making the Supra one of the most high-horsepower potential cars ever produced. Even its stock internals are good for up to 600HP! 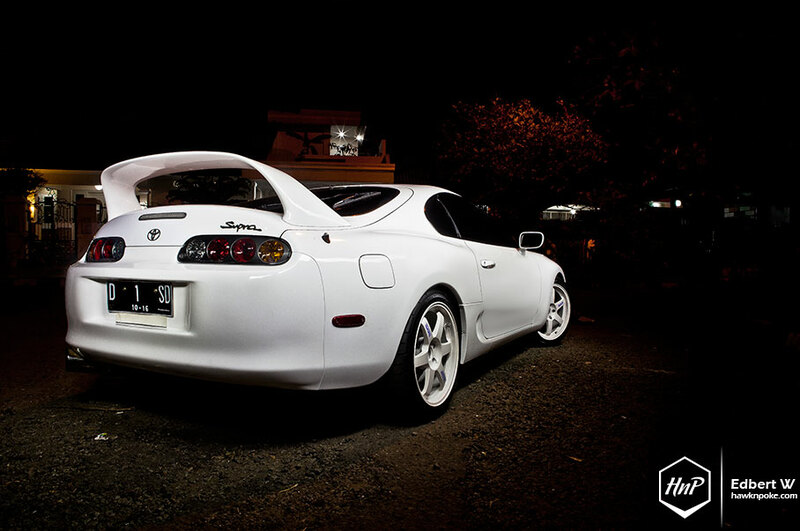 Such over-engineering by Toyota is what gets Haris excited about his Supra. Never before he tinkered with his previous cars, but having a 276HP twin-turbo that’s capable of going 1000HP+, things have gotten him way too excited. That’s why throughout this 6-year ownership of the car he has installed some pretty serious modifications under the hoods. 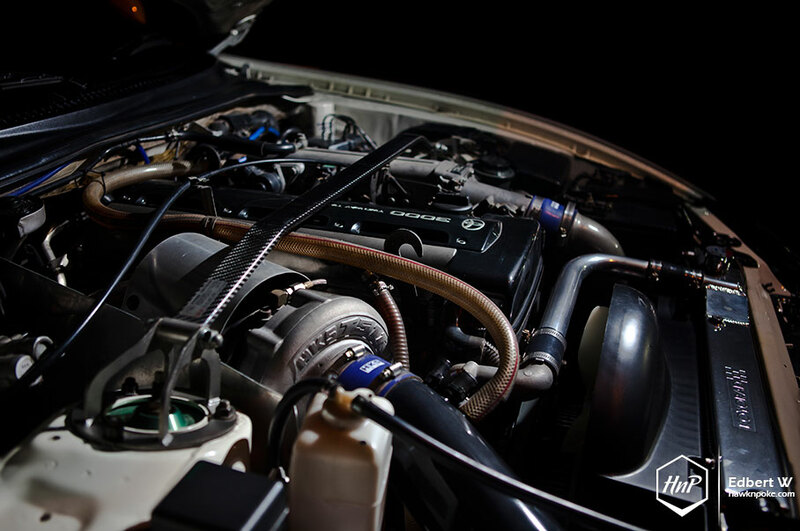 With parts sourced form Malaysia, USA, Australia and Japan, he has successfully run a very reliable big turbo HKS T51R setup. Almost doubling the MK4’s stock HP figure. Breaking tractions on 4th gear. As soon as he completed the turbo upgrade, performance started getting real serious. Nevertheless, Haris still preferred to keep most of the aesthetics looking OEM. Prior to this current look, he’s installed a set of Regulus add-on bodykit. However, not liking the added attention that the kit gave, he returned the exterior to stock for this sleeper look. 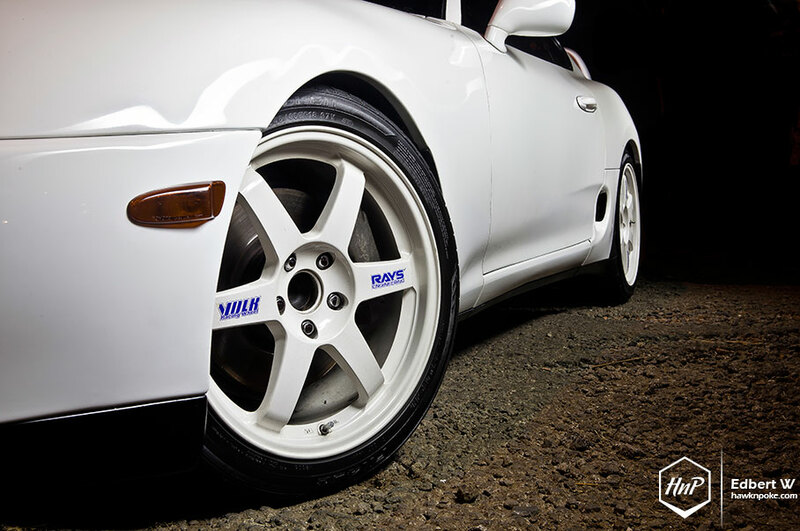 Wheels-wise Harris trusted the performance of these classic-choice forged TE37 wheels. Nope, no aggressive fitment nor over-the-top lowering can be found. As you might have noticed, Haris liked to do things the humbler and old-school way. True to its performance. A set of Tein coilovers improved the handling of his 500HP beast greatly while providing the street-safe lowering you see today.